Learn how the famous Terpe-zone Generator supplies the revitalizing air of the Alps to you and your children in your home or at clinic. Enjoy the benefits of Good Health! Breathe this germicidal vapor for all Respiratory troublesâ€”Anemia and Blood Pressure. Thousands of sufferers during the 26 years of our successful record have testified to amazing results. There is nothing similar to Terpezone. Write today for free literature and particulars. 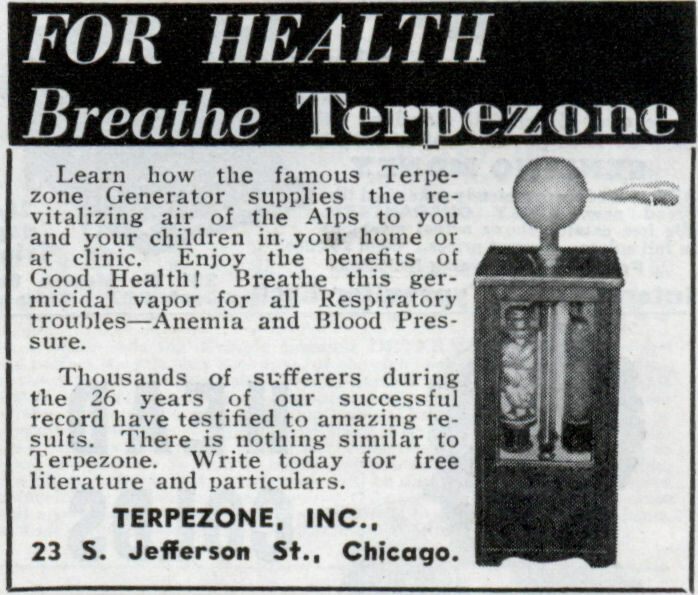 TERPEZONE, INC., 23 S. Jefferson St., Chicago. 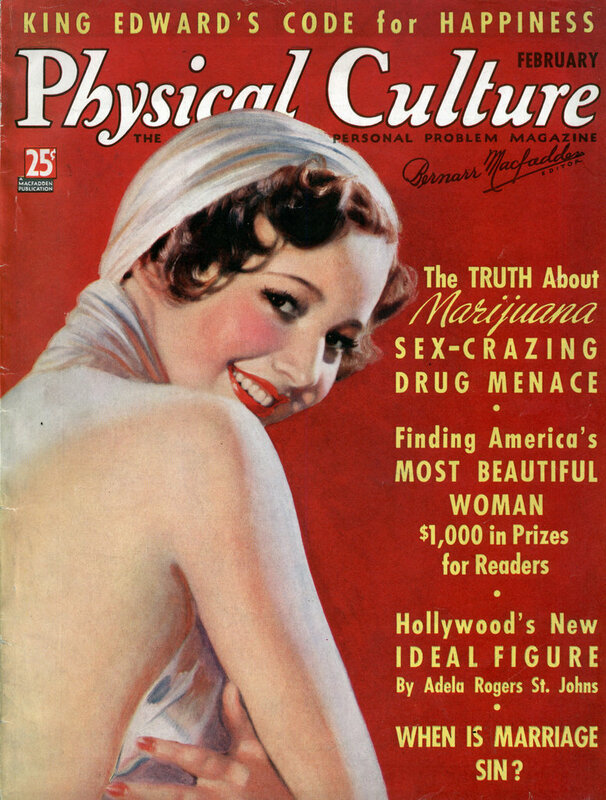 This was also promoted as a “cure” for tuberculosis. Today, Ozone is considered a pollutant. I don’t see the word ‘quackery’ in the articles Firebrand38 quotes. No I took the leap and reached that conclusion all by my lonesome. The claim that breathing the emanations of this gadget would treat ALL respiratory ailments, anemia and high blood pressure was like my first clue. I checked 23 S. Jefferson Street in Google Maps… it’s now a parking garage for the Presidential Towers. Whatever building was there seventy years ago is long, long gone. That feels sort of sad, in a way.